If you’re looking for a dependable fence company in Cedar Hill, TX As well as the nearby areas, you have found the one! At Ware Fencing, we provide all kinds of fence repair, fence replacement, and fence installation for homes as well as commercial properties. With our services, we can work together to add to the property value of your house or property, as well as the curb appeal and security! We’re here to make your fencing visions a reality, regardless of what you’re searching for. 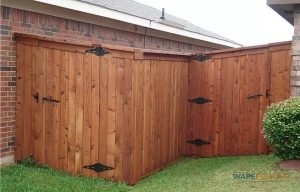 To learn more about your fence options, give us a call at 817-948-4503 today! Cedar Hill relies on us as a local fencing company for affordable and dependable fence repair services. Though most residential fence installers have few resources, our team can even supply farm and ranch fence services to our clients. We offer a variety of residential fence options such as bamboo, aluminum, and iron, also. Cedar fencing provides a great amount of privacy, but you can rely on aluminum fencing to preserve your view, if that’s what you’d prefer. 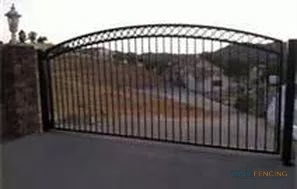 Our fences can even offer additional security, so make sure to ask us about our specialized security fences, as well as alternate secure fences. Even if you require a custom fence design that you don’t see mentioned here, you can count on us for the perfect fence. We work hard to be a fence company in Cedar Hill, TX that this community can rely on. Ware Fencing is dedicated to supplying unbeatable customer service, in addition to using top quality materials that are built to last. If you are searching for a specific fence, you can count on our team to work diligently to create it exactly as you imagine it. If you’d like to ask for a quote, or schedule an appointment, you can reach our crew at 817-948-4503! Regardless of what your fencing needs are, our experts won’t disappoint!